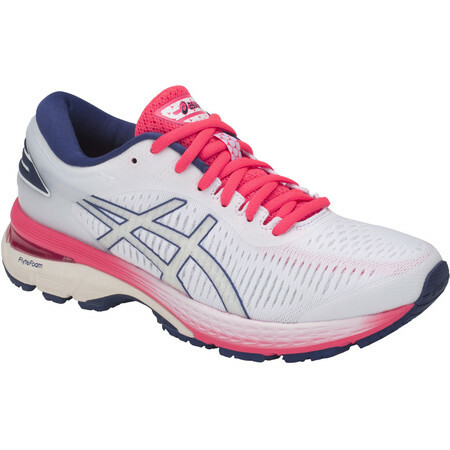 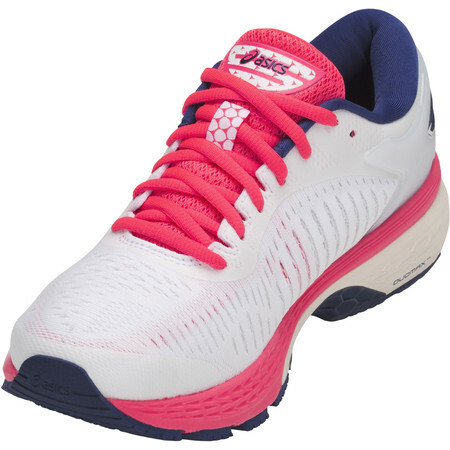 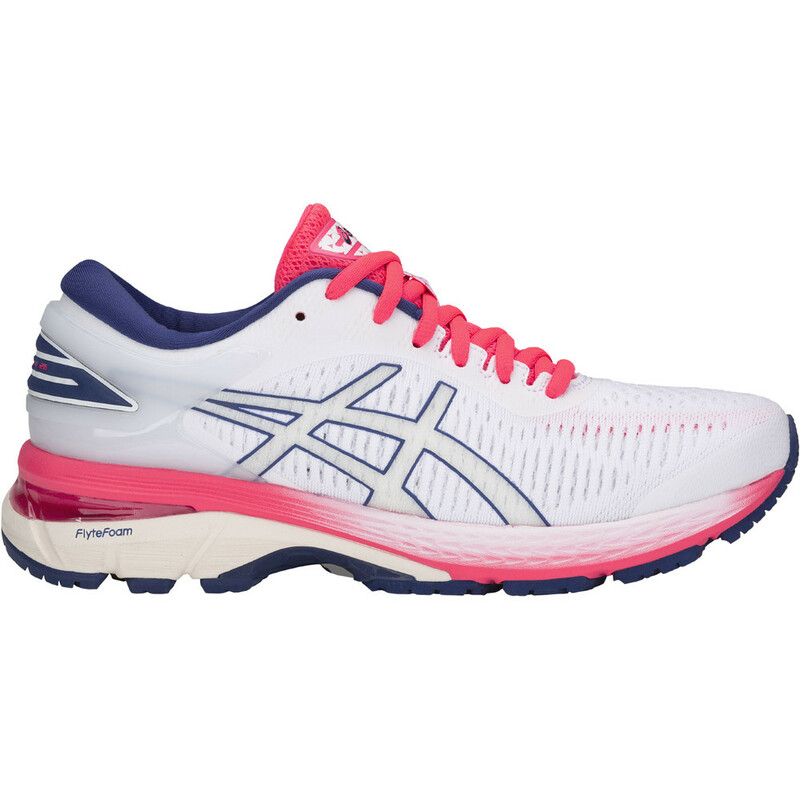 Asics' most cushioned and supportive road running shoe for women - the Kayano - is now 25 years old. 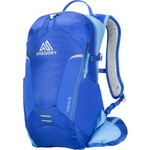 to celebrate its anniversay, Kayano 25 gets some unique improvements. Asics’ designers have developed a new last which is wider and deeper at the front thus giving more space to the big toe and forefoot for a better fit. A new meta clutch counter at the heel works with the Dynamic Duomax support system and the stability trusstic under the arch to stabilize the foot and prevent pronation. 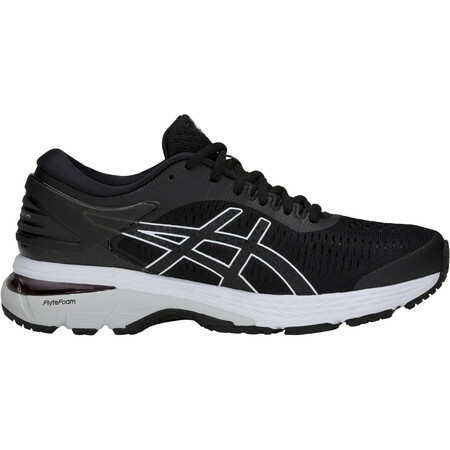 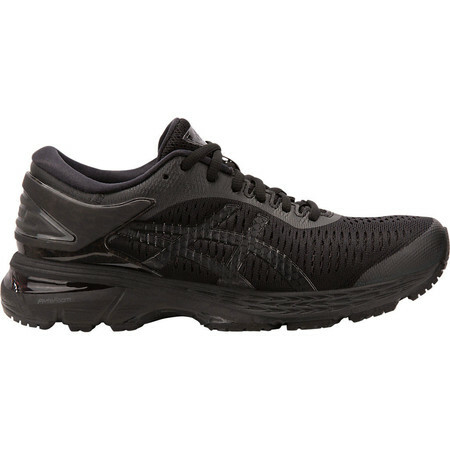 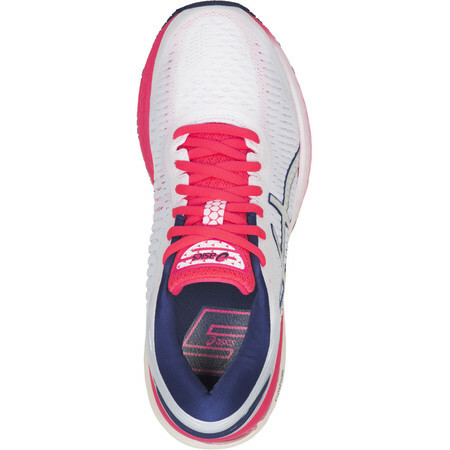 Gel in the heel and forefoot absorb shock. 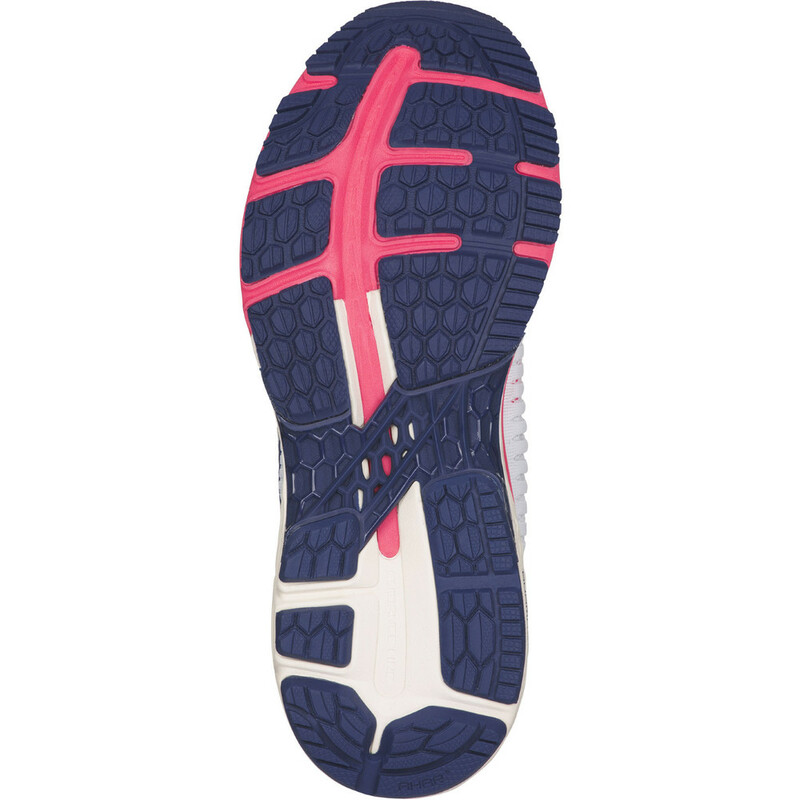 A double layer jacquard mesh upper offers improved comfort and better breathability. 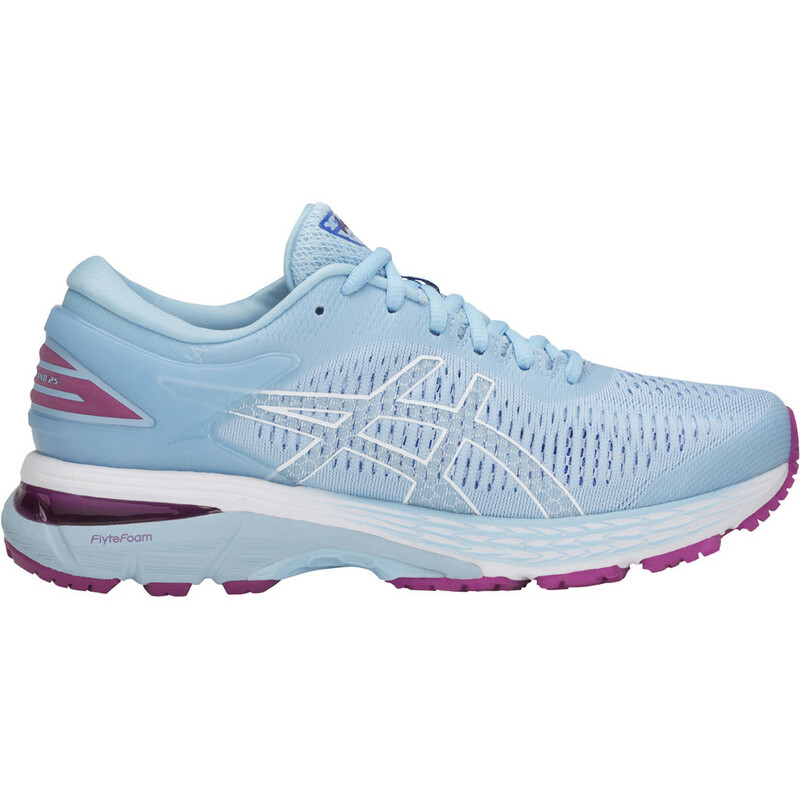 The midsole features FlyteFoam Lyte in the heel – ASICS lightest weight midsole formulation that provides continuous cushion thanks to nanofibers. 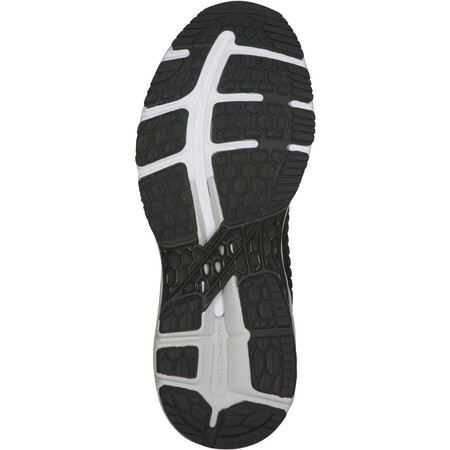 Cellulose nanofibers obtained from the waste material of sugar cane reinforce the cell walls which increases the midsole’s durability. On top of this and running through to the forefoot is a layer of Asics’ new Flytefoam Propel which (they claim) is the bounciest foam in the market to give a propulsive, spring-like effect as you move through the stride. 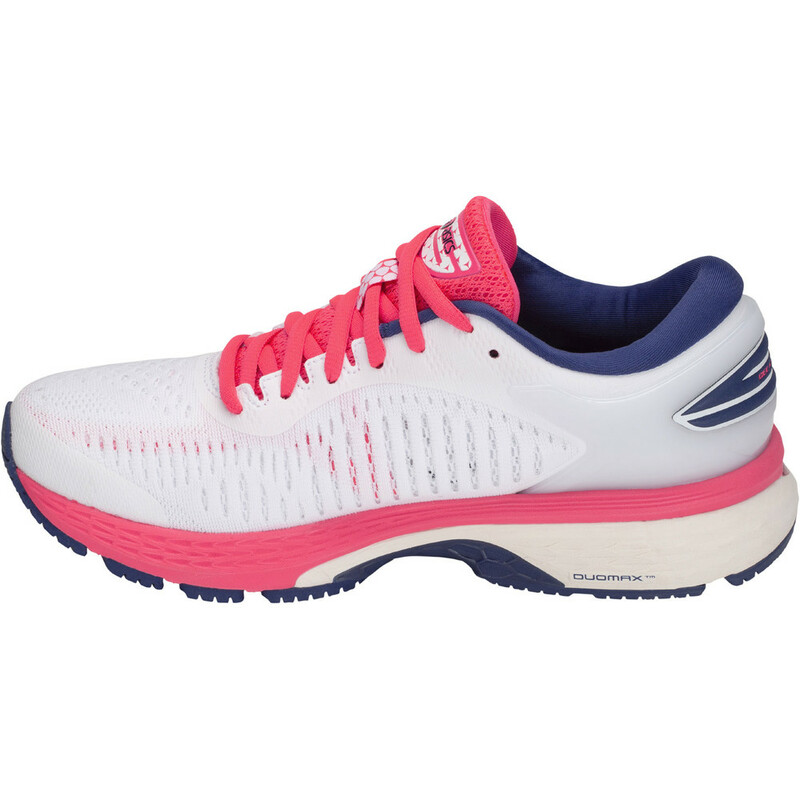 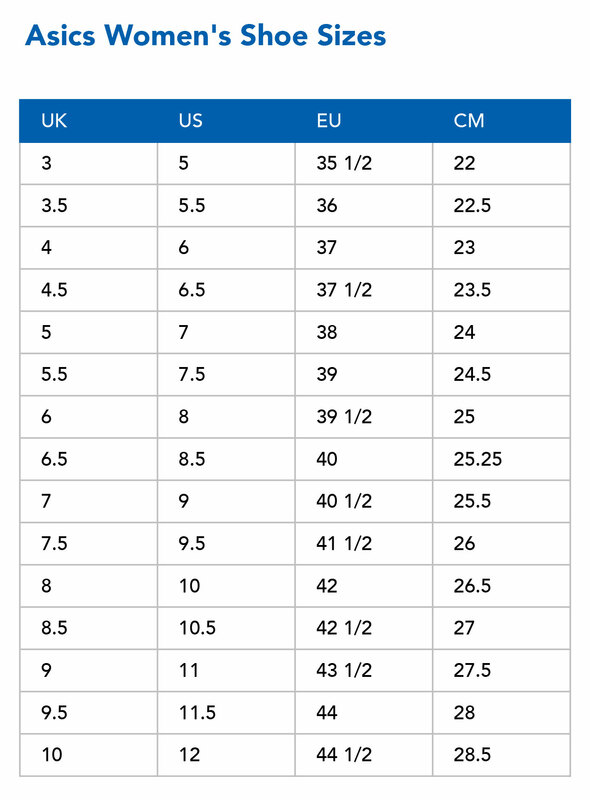 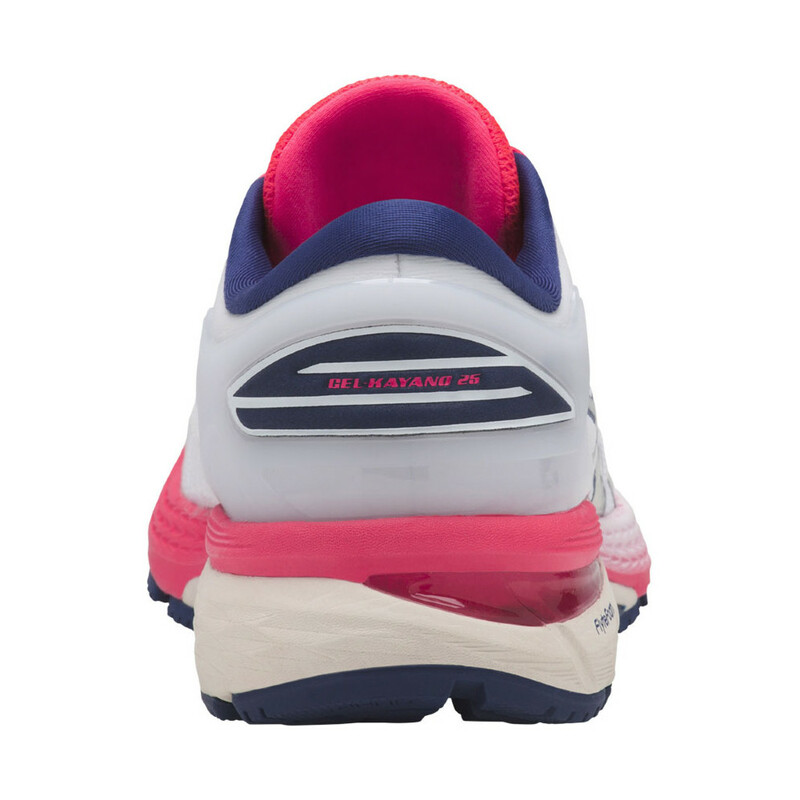 The women's shoe gets an extra 2mm of cushioning in the heel. 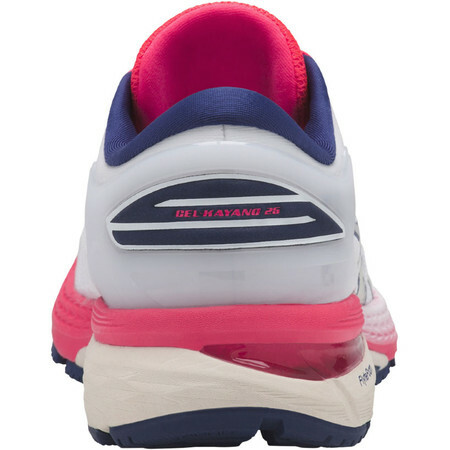 The women's Kayano 25 is a fantastically bouncy and luxurious road running shoe which helps support the foot over long or short distance running.